Posted 11/17/2016 10:11am by Renee Savary. What you think it means : The turkey was slaughtered this morning (or maybe yesterday) and was rushed to my local grocery store. What it actually means: "Fresh" has nothing to do with the time between slaughter and sale. Instead, it means that the turkey has not been cooled to below 26 degrees Fahrenheit. In other words, it was never frozen. What you might think it means: This bird was killed at a younger age than most turkeys and is therefore more tender and delicious. Maybe it also suffered less. What it actually means: The bird was likely killed at the same age as most other turkeys at 16 to 18 weeks, compared to the roughly 10 years turkeys live in the wild. What you might think it means: The turkeys have been raised in a "natural" environment, wandering around on a farm with a red barn, scavenging food and gobble-gobbling their cares away. What it actually means: “Natural” is a non regulated term and means whatever the user wants !! It has nothing to do with whether the turkeys got antibiotics or not, were living in filthy conditions or were confined indoors. The majority of turkeys are living in crowded houses, football field-sized sheds that are entirely enclosed, by the tens of thousands. Birds typically have their beaks cut to prevent them from injuring or killing one another, and are allotted an average of two square feet of space. Manure often piles up beneath the birds, and ammonia hangs thick in the air. Many turkeys are routinely given antibiotic to prevent them from getting sick. Plus, modern turkeys have been genetically bred to mature quickly and have extremely large breasts (for more white meat).Many have trouble standing. To be clear, turkey producers must still meet basic safety standards and the meat should be safe. But terms like "natural" are misleading consumers about how the birds are actually raised. Paying extra for "natural" is most of the time a waste !!! What you might think it means: These turkeys roam freely on a farm, pecking at the lush grass and getting more exercise than you do. If the animal never even went outdoors, but you sort of open and close the door everyday then it can be called “free-range” !!!! What you might think it means: This turkey had a better life than most, because at least it wasn't stuffed into a tiny cage. What it actually means: This turkey's life was probably the same as most, because turkeys are not raised in cages. What you might think it means: This turkey is a higher grade of meat, and is more delicious and healthy. What it actually means: Once again, this term is misleading. By USDA law, turkeys (and other poultry) are not allowed to be given growth hormones. This said the use of “growth promoter” is common. What you might think it means: Finally, a bird that has been raised according to an ethical set of principles. It was probably treated fairly and lived a decent life. What it actually means: If there is no certifying agency, the label is probably meaningless. That's because the USDA allows companies to come up with their own definition of "humane" . That's most of the virtually meaningless terms. Let's move on to some labels that have at least some significance. What you might think it means: The turkey was raised according to a stricter set of hygiene standards. It was probably kept cleaner and healthier. What it actually means: The turkey was probably raised in the same crowded house conditions as most turkeys. The only difference is that it was slaughtered according to a set of kosher principles. What you might think it means: This turkey enjoyed a lush supply of greens and grains, replicating its natural diet. What it actually means: The bird probably ate what most turkeys eat: corn and soy. But these birds have not had their diets supplemented with animal by products, which does happen often. The irony, though, is that turkeys are not natural vegetarians. In the wild, or at Twin Oaks Farm, they eat a variety of bugs and worms, along with grass and other plants. What you might think it means: These birds were never given any antibiotics of any kind. What it actually means: These birds were given drugs only if they were sick, but not for growth promotion, feed efficiency or to prevent disease. It does not mean the birds were raised in more sanitary conditions, only that they were not given routine antibiotics. What you think it means : Your turkey breed hark back to an era before industrial agriculture and genetic manipulation, bread naturally on a sweet red barn farm. What you might think it means: These turkeys were raised on a steady diet of organic vegetables, green smoothies and yoga. 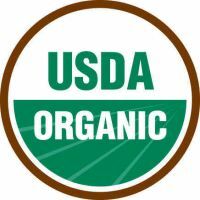 What it actually means: To meet the requirements for the USDA Certified Organic, animals must have some access to the outdoors (though there's debate about whether or not most organic turkeys actually go outdoors), be fed only organic feed (non-GMO and grown without chemical pesticides) and must not be given antibiotic drugs on a routine basis. Commercial organic turkeys are a better options still knowing that are raised in far from ideal conditions.